We have needed a bit of a ceiling fan refresh round here. A while back I was snoozing on the couch in the family room and a weird crashing sound woke me up, the dogs barked like crazy, it was dark in the room and I went back to sleep. barely missing my favorite painting in the whole house -whew! 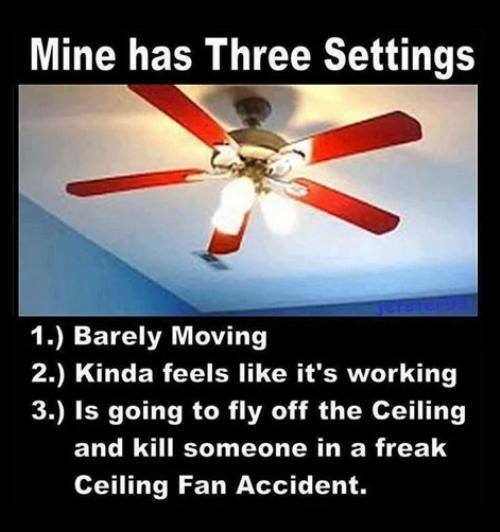 So to be sure that none of us is decapitated by a ceiling fan blade in the near future, we have been checking them out and replacing any that, in addition to circulating air on a warm day, might act as a guillotine. We live in the Deep South and they are necessary almost year 'round! For instance, it was 72 degrees on Christmas day here. Warmer than usual but we still needed a little breeze. 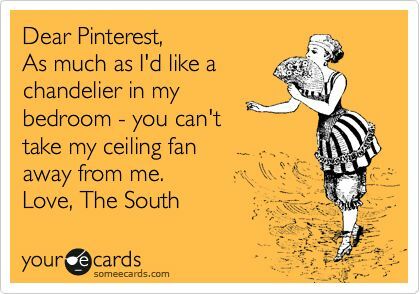 ﻿Ceiling fans often get a bad rap on shelter blogs and Pinterest. And they are not as beautiful as many light fixtures, but again, it's the South. Not bamboo but I love the old fashioned vibe!! It reminds me of the fans in old beach dives!! And how about this beauty of a beachy fan??? It reminds me of the amazing fans at the beachfront bars and restaurants in Hawaii!! 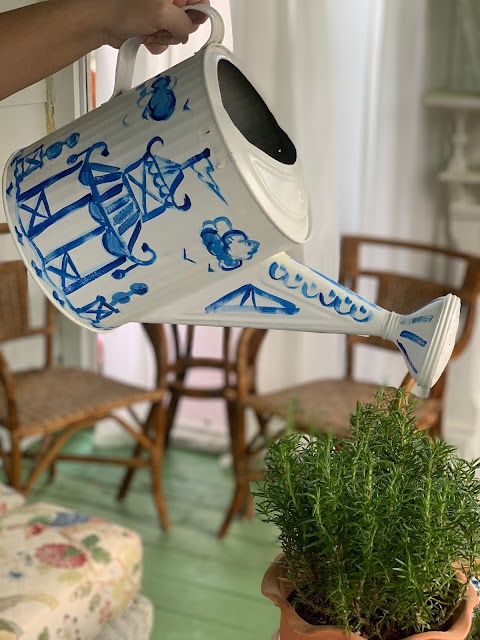 The top 3 images are from Lowes, we bought one very similar to the first fan pictured at Lowe's*, and bonus - ceiling fans were on major sale every where I looked. before it gets hot and sunny!! * I am not compensated by Lowe's in any way. Just wanted to share our scary fan blade story so you can check yours and buy one on sale if needed!! January Makes Me Want To Paint! !